We met Cockwells Modern & Classic Boatbuilding at the Southampton Boat Show 2017, and crossed paths again last week. Cockwells are currently recruiting for five great new roles, and has signed up as our latest SaltyJobs Employer Member. We’d like to welcome them aboard and share with you the fantastic opportunities to join their team. We visited Cockwells recently at Mylor Bridge, near Falmouth, in Cornwall. 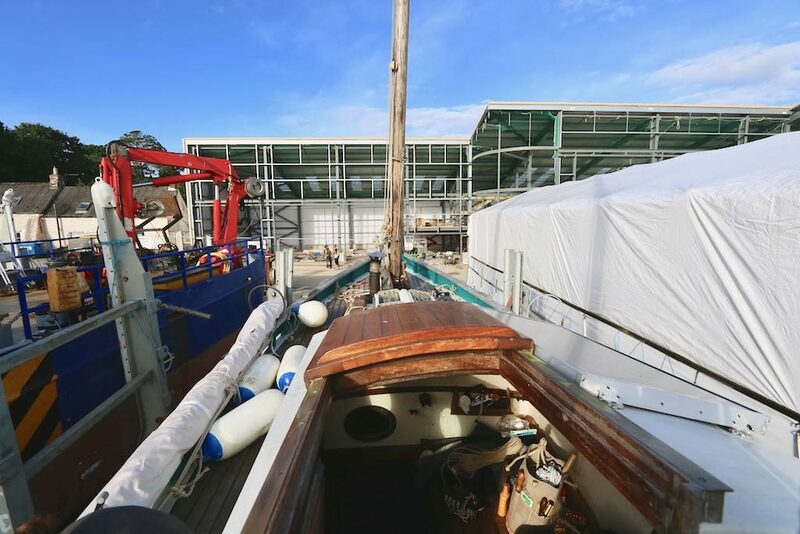 Cockwells are currently making huge investments in new boat building facilities at their yard here, part-funded by the EU. Alongside impressive new workshops, they are also expanding their team, which is great for our wider industry. It really does feel like a magical world down here, in the heart of classic boatbuilding in the UK. There is a lot of marine innovation going on in Cornwall at the moment, and having spent a few weeks around Falmouth, it definitely feels like the place to be. Of course, we want to inspire & share this world with you – and that’s where these great opportunities come in. Cockwells are currently recruiting for new team members across a range of skillsets & experience levels. Some roles require experience, others may be suitable for an apprentice. There are opportunities for boat builders, marine engineers, technical designers, composites managers and CNC operator assistants. This is a great time to join as Cockwells grows and the region invests in its marine sector. Don’t delay in applying – interviews will be held when suitable applications are received. If you have any questions about the roles, please contact us before applying and we can help.